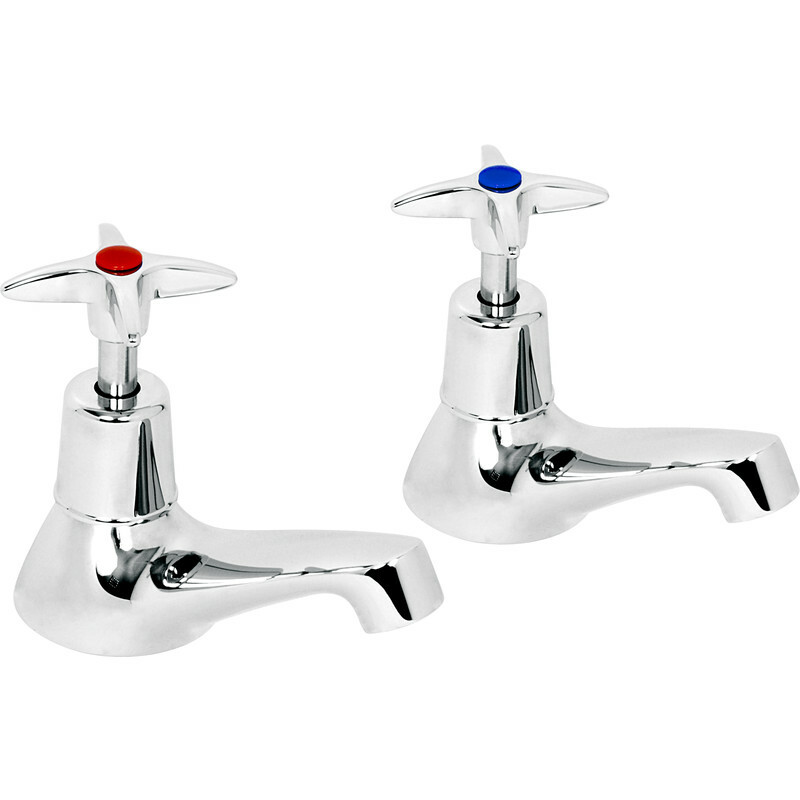 Deva Cross Head Taps Bath (2 Pack) is rated 4.7 out of 5 by 7. Rated 5 out of 5 by Ted T from Great value Decided to go back to old style taps with washers as tired of drips from other styles. Delighted with these, no drips after many months, great value. Rated 5 out of 5 by mikethecaretaker from Very pleased Nice quality particularly happy to see brass back nuts. Rated 5 out of 5 by bambo from Taps Very happy with the taps. Rated 4 out of 5 by RMWdiyer from Nice basic taps Quite a nice basic pair of cross-head bath taps but much smaller than I expected. They are definitely for bath fitting to a 22mm pipe, but the spout and nozzle are more like kitchen/basin size, so bath takes much longer to fill.